2. Everyone deserves a voice. As far as I know, CSC was the first niche community that focused on an underrepresented demographic. Now we’ve got @sewqueer, @chronicallysewn, @sewover50 and lots of hashtags bringing sewists together. I think the original editors of the Curvy Sewing Collective set the tone for all of that with posts like Mary’s “How we talk about size“, which made it clear that everyone was valued and included, and negativity would not be tolerated! 3. Learn to lead. Nowadays I coordinate the Sewcialists, which is run by a team very much like the CSC editors. We use essentially the same methods of organisation, have a similar format, and rely on the same community authors for content. 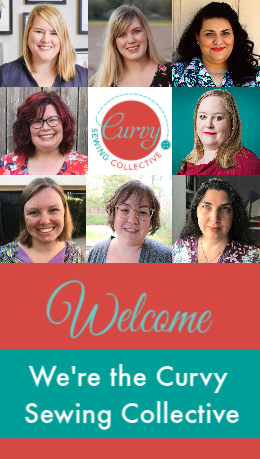 (Heck, 5 out of 7 Sewcialists editors are currently curvy, and many of us met while writing here!) Quite a lot of people have been a CSC editor or contributor at some point, and along the way we learn how to organise, schedule, brainstorm and plan.I like to imagine that one day Sewcialists will offer the same mentoring to people who have a dream project of their own – a chance to learn some practical skills to make it happen! 4. It takes so much work. From the outside, it might seem like a well-established site like CSC just rolls along automatically… but oh my goodness, there is a LOT going on behind the scenes! There are daily discussions about every little detail, from whether there are enough posts ready for the next week to what needs to be planned for a theme month to which hosting plan we need to upgrade to – and that’s not even mentioning keeping up with the Facebook group! It really is a labour of love from the editors, some of whom have been doing this for nearly 5 years. If you do anything after reading this point, let it be to thank the team behind the scenes – and maybe to offer to write a post to support this great community! 5. Finally, my favourite lesson: The sewing community is AWESOME! I mean, where else would literally hundreds of people come together to share pictures of themselves, and be cheered on by thousands of friendly strangers? I think the CSC is proof that together we can make a difference! It’s no accident that the plus size community has more pattern options now than ever before – it’s the power of standing together and showing the world that we want and deserve to be dressed fabulously! 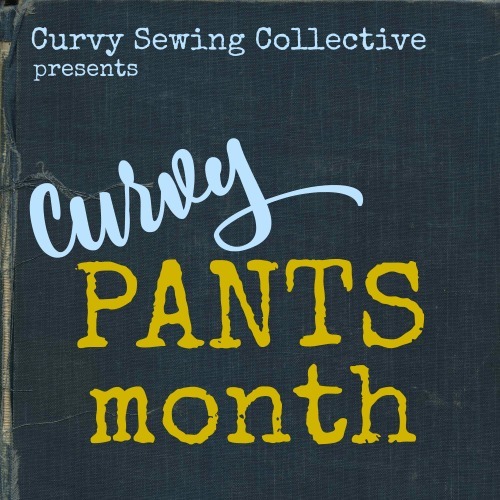 I’d love to hear what you have learned from the Curvy Sewing Collective – either from a certain post, from the community in general, or from the friends you’ve made here! Please let us know in the comments! CSC is the best discovery of my life. I am newish to sewing for myself as only ever made bags, quilts etc because I had so many disappointments early on with clothes for myself due to fit and sizing issues. I stumbled across CSC one night in desperation for some ideas of how to source patterns that will at least go someway to fit me. I consider this stumble a miracle 😉 I have gained so much confidence and support, even as a very limited poster/commenter, but the camaraderie and support has been astounding. To see similar bodies reflected online has been liberating. I love, love, love seeing people’s joy and confidence in what they have made to wear for themselves. I also love the loud cheering that the community offers someone who has achieved the making of a garment that THEY love. Feedback is always from a kind and supportive place and so very helpful. It’s just beautiful. It has slowly increased my confidence, self love and love of sewing. Thank you to all the lovelies at CSC who spend their time to create such an incredible sewing support group. It’s been life changing. The intro to so many amazing indie designers. The motivation to dive in and try new techniques. The realization that all those rules about what curvy people should and shouldn’t wear are BS. When you learn to fit the figure you have, you really can wear any fabric, any print/color, and any style and rock it. The overall positive-ness of this site has just been a huge motivator. I’m not even plus size, but I hang out here for the inclusiveness and body positivity. Even I, a person who’s not in that niche group,, feels included here at CSC. Thank you! CSC gave me back my sense of self. I had all but stopped sewing for myself. I found CSC and pattern companies who had models who looked like me (albeit) many years younger) and that was all the encouragement it took. I am happily sewing things for myself and wearing them! I will forever be grateful to CSC and all the hard work that is put in and want them to know they change lives! Curvy Sewing Collective lead me to pattern companies that did have my sizing in patterns with few alterations needed. What a relief not to spend multiple days and many muslins then having a wadder at the end. Meanwhile my Big Four sized sewing friends were going from project to project. Today I have patterns that work. I can try that design and it takes just a few hours to copy, alter (if even needed) cut and on to the fun part of sewing. My wardrobe is filling with items I love. 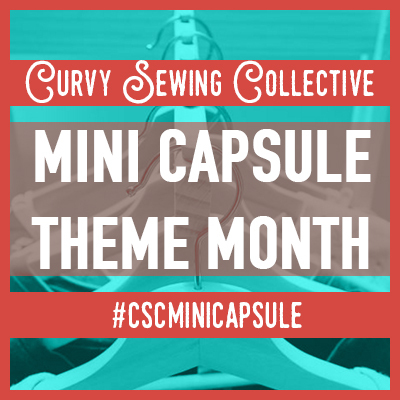 Thanks CSC for being here and bringing ideas and perspectives to this niche of sewing. It brought decades of struggles to an end. If Burda had not published their list of sewing blogs a few years ago I don’t think I would have found you.